Set amongst the leafy squares, museums and parks of the Royal borough, The Kensington feels more like a beautiful private residence than traditional hotel. Kensington is one of London’s most affluent and exclusive neighbourhoods - home to the monarchy at Kensington Palace since 1689 and the official ‘Royal Borough’ since 1901. 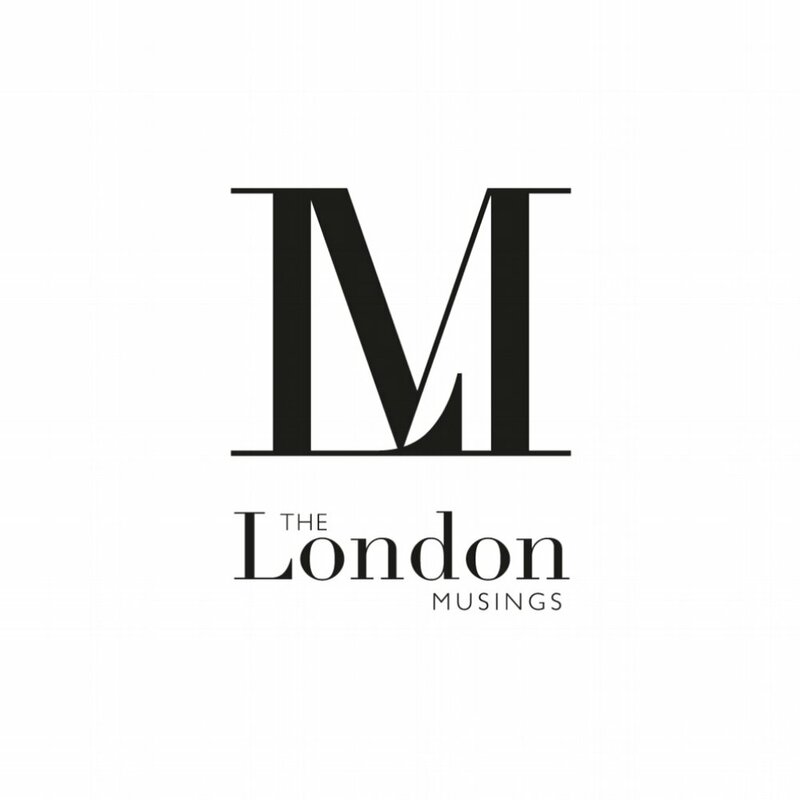 In order to celebrate the upcoming nuptials between Prince Harry and Meghan Markle on 19th May, The Kensington has announced a series of Royal Inspired Masterclasses in the lead up to the big day. The Kensington is the perfect place to kick off the royal revelries. Each of masterclass has been inspired by Meghan, designed to prepare ‘for life in the Palace’, featuring fun, interactive evening activities for hotel guests and the public alike. Led by hand-picked experts in their fields, each Masterclass will be accompanied by bubbly and delicious canapes, created by the hotel’s renowned restaurant, Town House. Masterclasses will take place on 11th April, 16th April and 9th May and will run from 7pm – 8:30pm and prices will start from £35.00 per person. This masterclass has been designed to teach guests everything from crafting the perfect dinner party menu to dressing a table which is bound to impress even HRH. Dani Tucker, Founder of The Social Kitchen is an author, chef, supper club host and expert on creating beautiful and inspiring dinner parties – perfect for any royal get-together. During the session, participants will learn how to set the perfect dinner table, personalise their own table setting as well as teach participants how to keep their cool throughout the planning process and share some of her most successful recipes to enable them to host their own ‘Instagram Worthy Supper Club’. We all know that Harry popped the question whilst they were roasting a chicken, so guests will go home with Dani’s famous roast chicken recipe so they can recreate the moment at home. To book this masterclass, please click here. Calligraphy is a skill Meghan perfected long before she met Harry and she used it to pay her way through university. 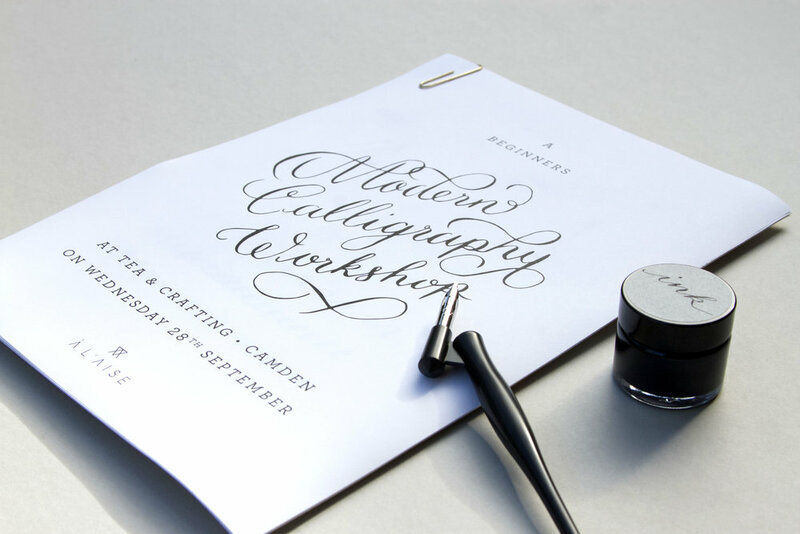 The ‘Write Like a Royal’ masterclass with expert calligrapher and founder of bespoke stationary brand A L’Aise, Suzie Dicker, will teach participants how to pen perfectly. Suzie aims to bring each pupil’s individual style and personality into the writing and guests will go home with their own calligraphy guide book, Royal Wedding inspiration sheet, calligraphy pen and pot of ink so they can continue to practice at home. With Meghan’s modern, trendy and eclectic style, there is no doubt she will be putting her own touch on the interiors of Kensington Palace. Interior design aficionados Jane Rockett & Lucy St George of Rockett St George and floral stylist Hannah Agnes Antmann of Saint Floral, will share their predictions and latest style trends, as well as guide guests through top tips and help them dress their homes for special occasions ‘fit for a Princess’. 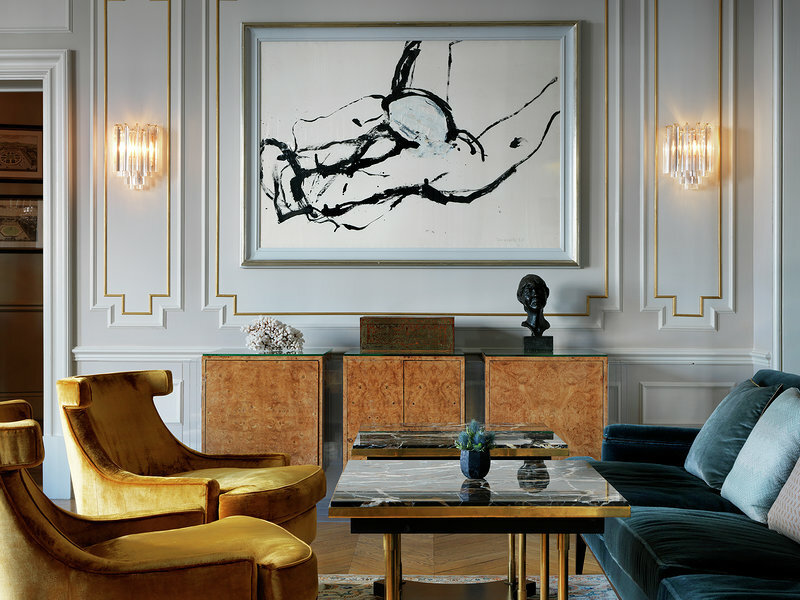 They will chat thorough styling techniques, working with colour palettes and interior decoration, all of which can be adopted in the home as well as stylish hired spaces. Saint Floral will teach participants how to curate charmingly wild and experimental arrangements and create the perfect backdrop, bound to impress any guest, Royal or not! 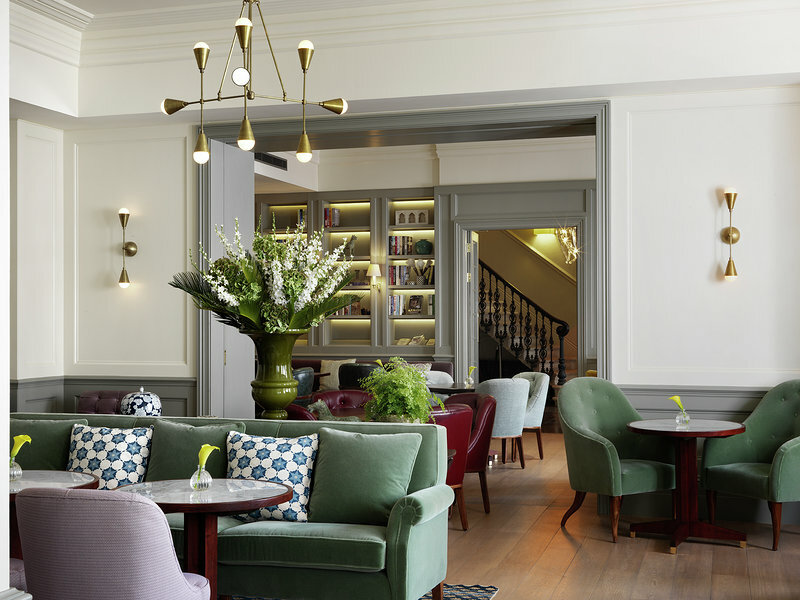 Extend your time at The Kensington Hotel at Town House, the fabulous hotel restaurant, which is interconnected with The Drawing Rooms on the ground floor, ideal for elegant afternoon tea in front of the open fire or a relaxed meeting. If you're after delicious cocktails and snacks, K Bar is the hotel's glamorous bar, a perfect hotspot for late afternoon / evening tipples.